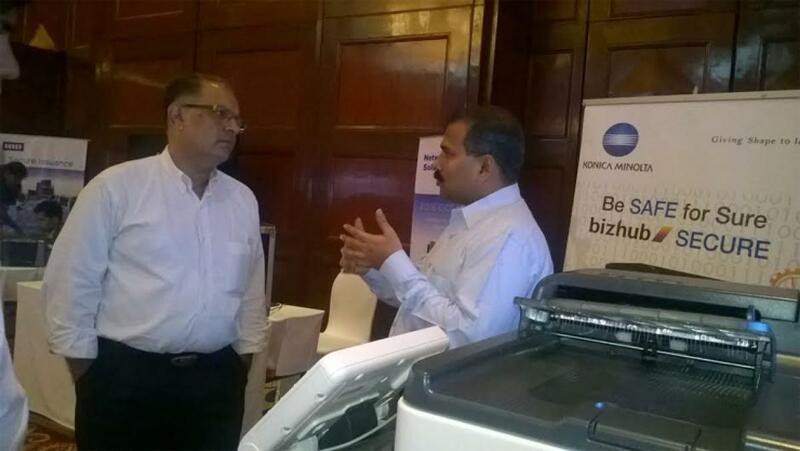 Konica Minolta Business Solutions, a leader in advanced imaging and networking technologies from the desktop to the print shop makes its presence felt in the HID Secure Identity Xperience which was held at The Lalit Hotel, Sahara Airport Road, Andheri East, Mumbai. The event was mainly focussed towards Security System Integrators, Consultants as well as enterprise customers. With its participation, the company aimed to showcase information security through Konica Minolta’s bizhub C3350, PSES and HID Card Reader for Konica Minolta’s MFPs. The purpose of the event was to target the Security System Integrators, consultants as well as customers. This was an opportunity for Konica Minolta to project itself as the topmost provider for secure document solutions, addressing to the need for ‘paper’ security solutions and increase awareness of Security SIs who are typically focussed on premise security solutions or logical access control limited to only the PC/Network. Konica Minolta released a Security Whitepaper as well as Security Brochure to highlight the security features in Konica Minolta MFPs. This was well received by the participants and HID team. In the Mumbai event Konica Minolta was also provided a slot for presenting its “Security Proposition”, during which it highlighted the gap in Information Security focus/offerings wherein we tend to secure our doors (Physical Access Control) and Windows (OS – Logical Access Control), but between the Premise & PC the important lacunae of securing Paper is often ignored which is now addressed comprehensively only with Konica Minolta solutions. As per the company security is not merely an add-on optional item but intrinsic, integral and intuitive as it enables, instead of hindering user productivity in a secure manner. For a high-quality, low-cost color solution in networked MFP environments, the bizhub C3350 color multifunction laser printer is an ideal choice -- with 35 ppm output in color and B&W, touchscreen convenience for ease of operation and built-in Emperon printing with PCL and PostScript emulation.